Our office provides a comprehensive range of oral health services for children from infancy through adolescence. We offer preventive care, treatment of dental injuries and diseases, and procedures to restore the oral health of children affected by tooth decay. Special attention is paid to a child’s emotional and behavioral needs, as well as to their dental conditions. Above all, we stress education and prevention that will develop in the child the skills and habits that produce a lifetime of optimal oral health. 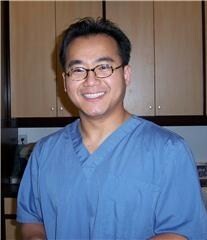 Dr. Tony is a graduate of University of California, San Francisco School of Dentistry in 1998. After graduation, he was in private practice as a general dentist. During those few years, he had the opportunity to experience different aspects of dentistry and that is also where he found his keen interest in pediatric dentistry. In June of 2003, he completed his pediatric dental residency program from Maimonides Medical Center in New York. Copyright 2009 Dr. Tony Hwang DDS, INC. All rights reserved.